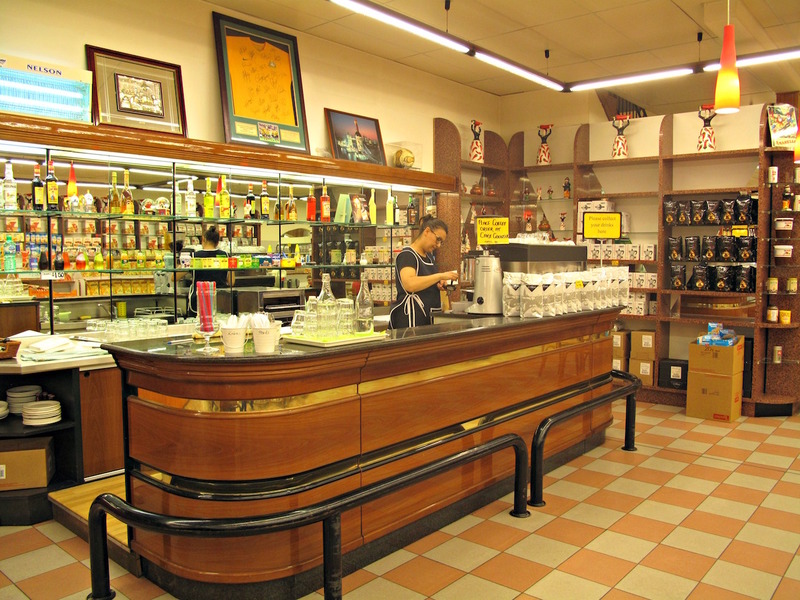 After we moved to the western suburbs, we maintained regular visits to Mediterranean Wholesalers – that repository of just about everything Italian on Sydney Road – for several years. Maybe it was because there was then less available in the west of what we were seeking – oil, great cheese and sausages, pasta, pulses and much more. And maybe, too, it was simply a matter of not then, yet knowing where to source such goodies in the west. That pleasurable habit fell by the wayside many years ago now … but very recently Bennie and I had some to kill before a hospital visit and it gave us a great deal of pleasure to re-visit Mediterranean Wholesalers. We had lunched elsewhere – at our new fave non-westie joint – so were thinking only of coffee and some sweet treats. It was a great fun to be in the place again – all appeared to be the same: The smells, the stock, the aisles of wonderful. 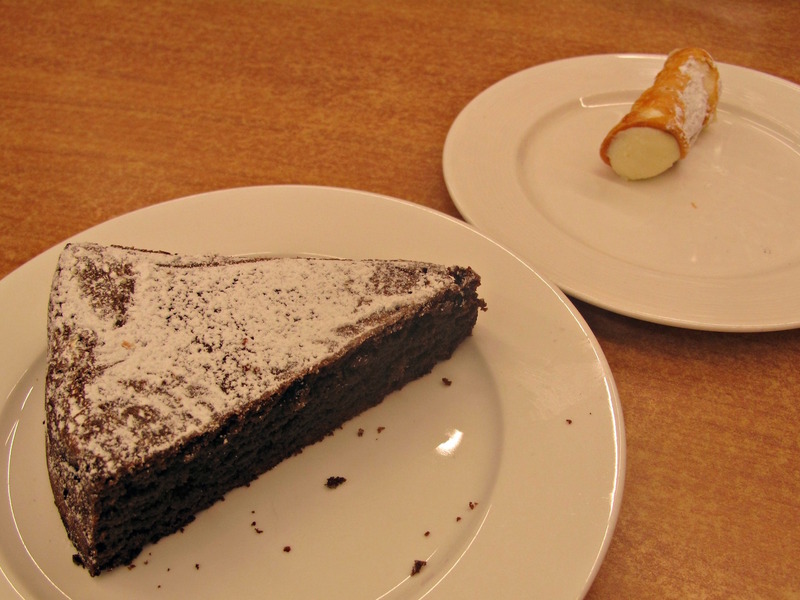 Smiles aglow, we had a slice of lovely flourless chocolate cake ($3) and a baby ricotta canoli ($1.50). 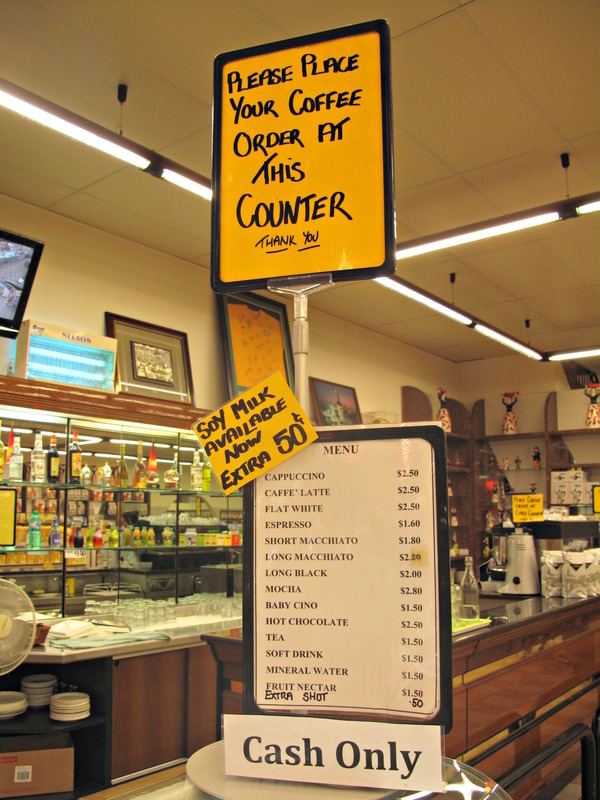 My very good cafe latte clocked in at $2.50 and Bennie’s San Pelligrino chinotto cost a fabulously cheap $1.50. If only all cafes sold San Pelligrino soft drinks at such prices we’d be regular chuggers. Incredibly, our brief and enjoyable visit cost us less than $10.